This winter say Hello to healthy skin with our June promotion! 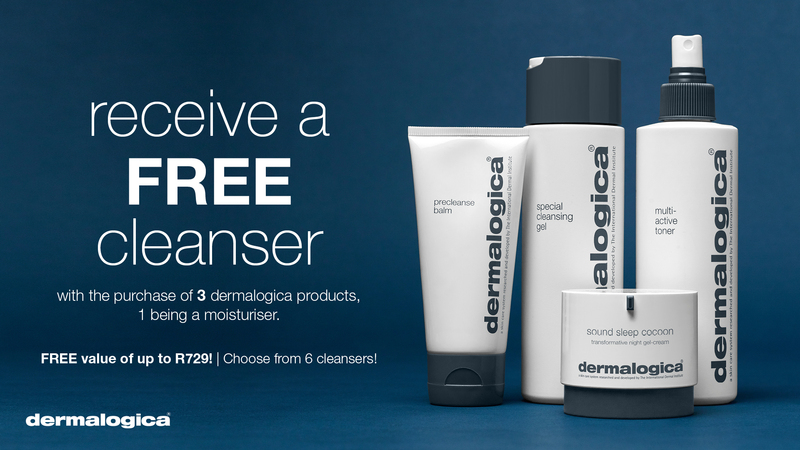 Receive a FREE cleanser with the purchase of 3 Dermalogica products, 1 being a moisturiser. Promotion available while stocks last. Limited stocks available & at select stores only. FREE Cleanser choices: Special Cleansing Gel 250ml, Dermal Clay Cleanser 250ml, Essential Cleansing Solution 250ml, Skin Resurfacing Cleanser 150ml, mediBac Clearing Skin Wash 250ml, Ultracalming Cleanser 250ml. FREE cleanser choice is subject to availability. FREE gift may not be exchanged for cash. Deal excludes travel sizes, clear start and accessories.